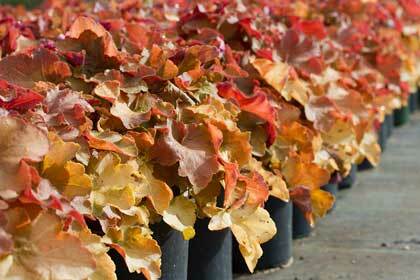 Christensen's Plant Center has been a supplier of quality nursery stock in southeast Michigan since 1931. Our main location in Plymouth, Michigan, includes 32-acres of trees, shrubs, groundcovers and perennials available at wholesale prices to the landscape industry. Our knowledgeable (and long-time) sales staff can help you select the plants you need for your landscaping projects. New arrivals daily throughout the season (March through December). Stop in often or contact any of our sales staff if you have questions. 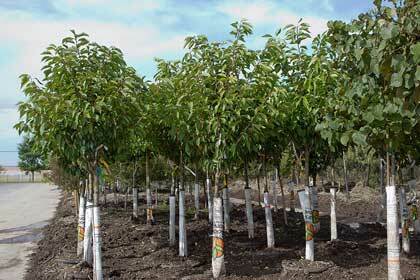 We provide healthy, well-maintained plants through our main yard or directly shipped from our vendors. If we don't stock what you need, we can help you source any plant through our huge grower network. Trees – Deciduous, evergreens, ornamentals and specimen trees; containers and B&B, diameters up to 6". Large selection of Flowering Crabs! Our availability reflects product in stock on the date of the current posted report. 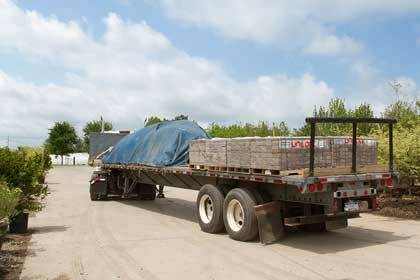 There are sections for Trees, Perennials, Commercial Grade material, Hardscape items, and Hardgoods items. Use the "Find" feature in Adobe Reader to search for specific products. Wholesale pricing information is available to all registered customers in our password-protected price list, by fax request, email, or by calling the Plant Center. Special pricing may be available for large quantities. Please inquire. Note: iPhone users may need a 3rd-party app to open the password-protected PDF, such as PDF Reader Pro. (No endorsement implied). *How do I get a password? Review our Wholesale Registration FAQ page and complete our Customer Registration Form. Click to Request an Excel file for use with job costing or design programs. We are here to help! Christensen's offers several specialty programs that can help you get the quality plants you need to complete your projects, save your valuable time and help keep your overhead low, including our Direct Ship, Specialty Plants, and Tree Storage programs. Buy more and save more! Our sliding-scale discount applies to all sizes and varieties of woody ornamental plants, per invoice. Pay in cash and save even more. All discounts exclude groundcover, perennials, sale items, and hardgoods. Pick up our handy annual Plant Reference Guide & Price List. This pocket-sized alphabetical plant list, together with our weekly Availability List (above), makes it easy to coordinate your nursery stock orders from the office or the job site. Check out our Plant References Page for a link to our Periennial Plant Reference along with a variety of other helpful guides, references and articles. Sign up to receive our weekly email newsletter written by our staff for tips, plant info, and more. Read past issues in our Newsletter Archives. Visit our Helpful Links Page for links to industry organizations and associations, other websites that offer useful tools and resources, and articles on current topics.